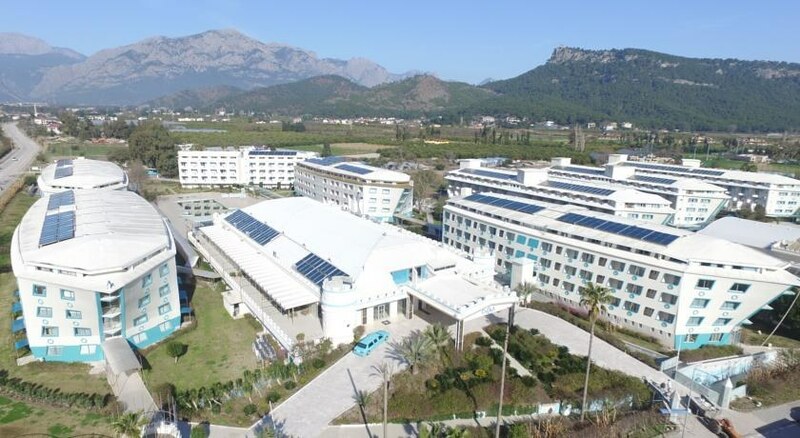 This resort consists of boat-shaped buildings surrounded by extensive grounds with large swimming pools and has a private beach. 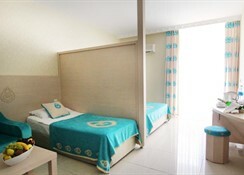 Each ocean-themed room is spacious and has a private balcony. 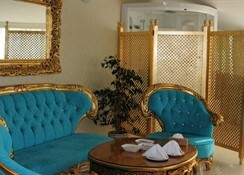 With air conditioning, all modern rooms at Daima Resort Hotel are decorated in light colours and include satellite TV. 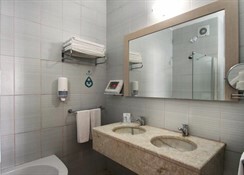 Each private bathroom is stocked with a hairdryer. Buffet-style meals and menu dishes are available daily in Daima’s several restaurants. Guests can taste traditional Turkish meals both indoors and outdoors. The hotel has 3 bars serving cocktails. 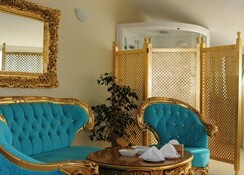 Guests can undergo a traditional hammam treatment in the spa or benefit from the tennis court. There is also a fitness centre and a game room with a pool table, tennis table and darts.